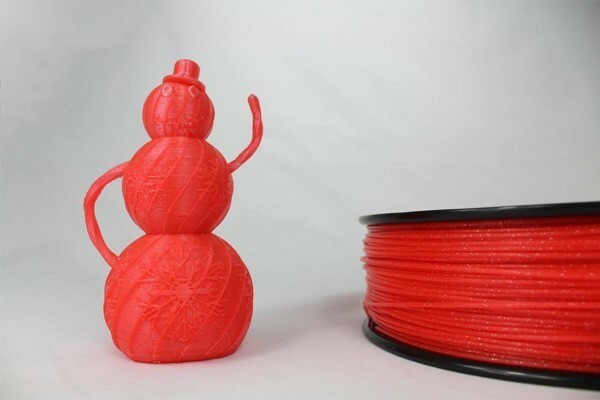 Home // K-Blog // Explore // How to choose your 3D printing filament? 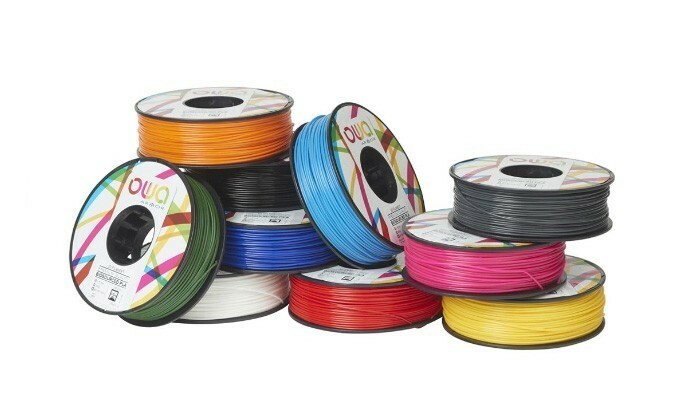 How to choose your 3D printing filament? Getting into 3D printing obviously means selecting your 3D printer, but that’s not all… Choosing the right material is also an important step for achieving optimum results. But faced with the vast choice of different filaments, plastics and properties, it’s not always easy to find your feet. Armor 3D can give you some advice on choosing your 3D filament, including the key questions to ask yourself before buying a bobbin! The required filament diameter. This is often 1.75mm, but may also be 2.85mm. The material of the print nozzle which affects the type of filament you should choose. 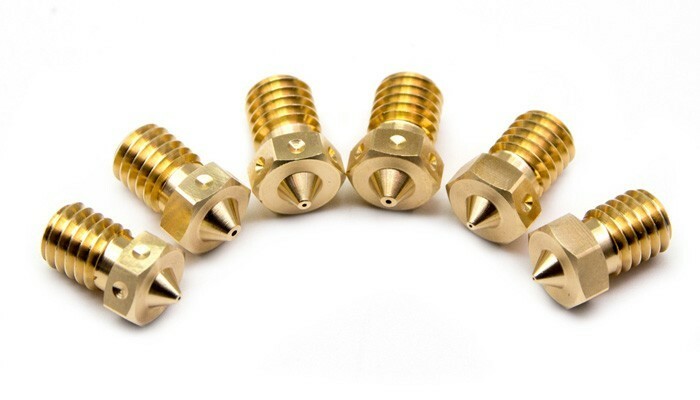 Brass nozzles are most widespread and are used to print common materials such as PLA, ABS and nylon. If you wish to use abrasive or corrosive materials, it is better to select a tempered steel or stainless steel nozzle respectively. The maximum extruder temperature of the printer, as each filament is fused at higher or lower heat. PLA for example has a printing temperature of between 190°C and 230°C, while that of ABS is around 230°C – 260°C. The presence of a heating plate: for certain filaments it is advisable to have a heating plate to avoid the detachment of parts. This applies to ABS and ASA, for example. The choice of filament does not only depend on the characteristics of the 3D printer: it also relates to the prints you wish to produce, from an aesthetic, mechanical and utilisation point of view. If you wish to obtain a solid and impact-resistant part, you should favour Polycarbonate or ABS filaments. However, if you want a flexible or semi-rigid object, there are TPU or TPE-based materials that produce parts that are easily shaped. So it is vital to know what the 3D printed part will be used for before choosing your filament. For example, if it is contact with food choose a PET-based filament. It is important to know what finish you wish to obtain: mat or gloss? Must my part be smooth? Do I want my part to be translucent? These questions will obviously affect the choice of 3D printing filament. 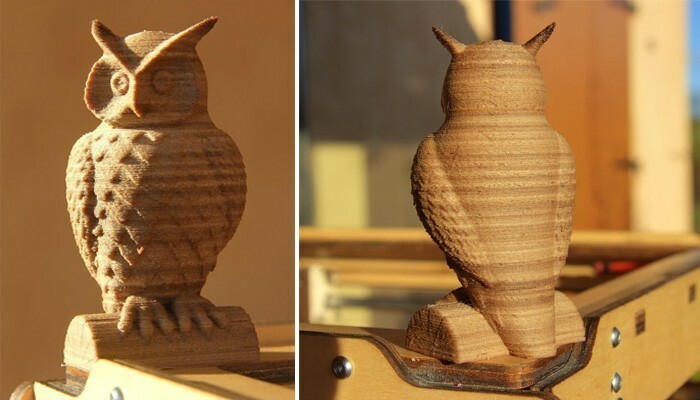 There is currently available a whole range of hybrid materials generally composed of a PLA base and another material such as wood, bamboo, cork, brick or cement, which provide the filament with a completely different aspect and therefore a different finish, whether in terms of colour or texture. In addition to colour and texture, you must decide what level of detail you wish to achieve and the required surface quality. For example, the finer the printing layers the less visible they will be. Finally, the choice of printing filament is also related to the environment in which printing is to take place. During fusion, certain plastics emit toxic VOCs which can be hazardous over the long term in a closed environment. For such filaments, it is recommended to use an enclosed 3D printer or to print outside – this applies to ABS, for example. You must also check whether your filament is sensitive to humidity and if it should be kept in a dry environment. Also pay attention to its level of water resistance. Finally, see if the filament emits any odour: in a living space you should favour PLA, PHA or PET. In order to find the printing filament most suited to your needs, Armor 3D recommends that you try out several different ones. Comparing different filaments is the best way of establishing their various possibilities and what you actually need. Also test different printing parameters: play around with extrusion temperature, print speed, the use of supports, etc. The price of the filament should not be the decisive selection factor: you are better off choosing a slightly more expensive bobbin to guarantee better print quality. Finally, if you are a beginner in 3D printing, we recommend that you use a PLA 3D filament as it is the easiest one to use. It is one of the most commonly used materials in the plastic 3D printing market and behaves very well during printing, can be readily manipulated after printing and is available in a wide range of colours. Furthermore, it is a biodegradable material and is more ecological than ABS, for example, one of the other plastics widely used in FDM 3D printing. 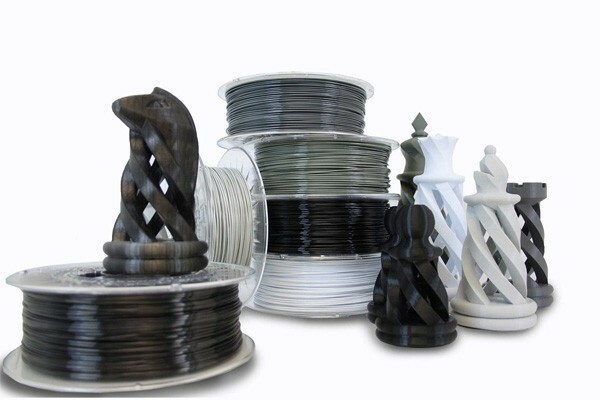 If you don’t know which filament to choose or you need advice, don’t hesitate to contact our commercial department, we will be happy to recommend the right material for your needs!